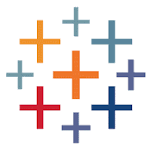 Tableau Analytics | Business Intelligence | C.I.A., Inc.
Data Visualization with Tableau © – Tableau’s data virtualization is head and shoulders above what traditional BI vendors offer. Tableau made its mark on the world of BI by being one of the first companies to give business users the ability to perform fairly complex data visualization in a very intuitive, drag and drop manner. Its data visualization is also impressively interactive. The user can highlight sections and drilldown into charts without extensive skills or assistance from IT. Gartner’s most recent Magic Quadrant reveals that more than 70 percent of Tableau’s customers selected the product because of its ease of use for the business user. If you want high powered data visualization, you’ve found it with Tableau. C.I.A. can take your data and utilize data visualization software to show you graphically what your next steps should be in solving your business problems.